The Belmont Village Market is an honour system-based farmers’ market in the heart of Belmont Village. Payment at the market is based on the customer paying what they think is fair for the produce they choose. Extra funds from the market benefit local organizations. The market runs from 11 am to 3 pm on Tuesdays throughout summer months and is a volunteer-run organization. It was conceived by Susan Broughton, owner of All Things Tea, and the market takes place just outside her shop. 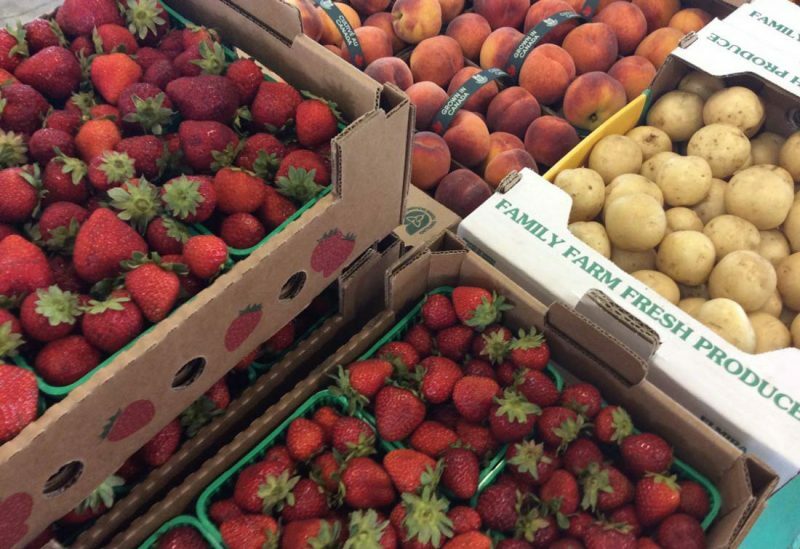 Food for the market is supplied by The Sustainable Market, an online farmers’ market based in Kitchener. The Sustainable Market promises GMO-free, chemical-free, sustainably farmed local produce. Another goal of The Sustainable Market is ensuring the producers of their food are paid a living wage. Produce available at the market includes fruit and vegetables, such as peaches, watermelon, cantaloupe, rainbow chard, spinach, and more. Other than the produce, local businesses have provided other food options in the past. For example, bread has been provided by Janet Lynn’s Bistro, samosas by Raja Fine Indian Cuisine, and cookies by The Culinary Studio. After the costs of running the market are covered, additional funds are donated to a local organization, such as the Westmount Public School Breakfast Club, which provides a healthy breakfast to elementary school students, who would otherwise go without. The Belmont Village Market is organized and run by the Belmont Village Business Improvement Area, which is a group of local businesses focused on improving the area and bringing in more customers and guests. Some other events run by the Belmont Village Business Improvement Area include Cruise into Belmont Village and Christmas in the Village. Kitchen Kuttings in Elmira has been providing specialty comfort foods since 1989 when co-owners Lydia, Nancy, and Elmeda began running their business. Little Mushroom Catering believes in the integrity of their food and using fresh and local ingredients for “from-scratch” creations. They foster relationships in Waterloo Region through the connections they form with their clients and suppliers. The Waterloo-Wellington Museums and Galleries Network (WWMGN) is a collective of galleries, museums, libraries and archives that work together to preserve and promote their sites and collections.